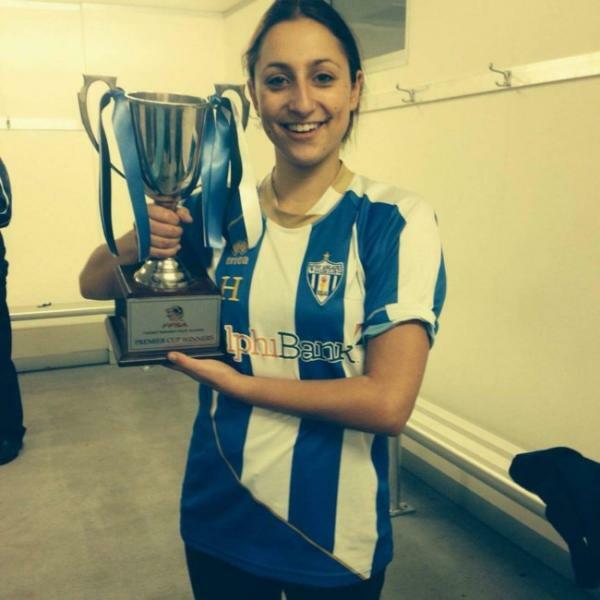 Upon meeting 23-year-old Greek Australian Lucy Adamopoulos, with her big infectious smile, bright and cheerful personality, one would never suspect that the young soccer player, who was recently named in the Adelaide United W-League squad, has cheated death twice in the last four years, first sustaining serious injuries in a car crash and then, just two years later, being impaled on a garden stake. “The truth is that when I look back I think I shouldn’t be here, I shouldn’t be alive!” says the daughter of former West Adelaide Hellas soccer star and Aussie Rules player Harry Adamopoulos, whose own star shone in the 1980s. With the encouragement of her dad and her mum, Nat Harrison, a former host of community TV show Full On Football (following in the footsteps of her own father, Wally Tkachuk), Lucy began her soccer and football career at the tender age of six. “I was, and still am, what would be considered a ‘tomboy’. When I started playing at Adelaide Olympic with the boys’ under-9s, under-11s and under-13s, I remember them getting upset with me when I scored goals. Eventually they kicked me out after taking the boy’s spots,” says Lucy in an interview with Neos Kosmos. Unfortunately, things took an unexpected turn for Lucy four years ago on April 19, 2012, when a drunk driver collided head-on with the young athlete’s SUV car at a busy intersection in the suburb of Medindie, just a few kilometres outside the city centre of Adelaide. Lucy sustained a fractured skull and was forced to miss the soccer season. Miraculously, the young fighter recovered so quickly that she returned to action just two months later. She went on to play for the University of Adelaide and she even excelled as a ‘cross-code girl’ playing Aussie Rules for Seaton Ramblers and representing SA in the under-18 Aussie Rules team, before soccer won her over. West Adelaide Hellas was her next milestone. “At West Adelaide Hellas we formed a great team where all the girls supported and encouraged one another. It gave us all a sense of family, a sense of belonging and community and it made us feel really proud about the group of people and the team we had formed,” she says. 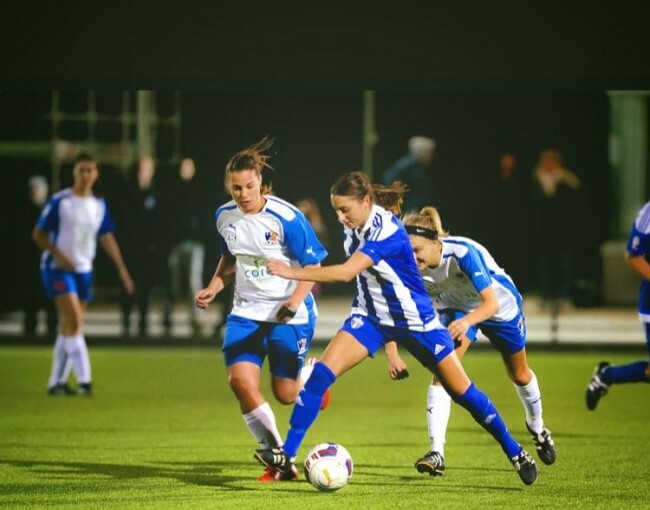 Lucy’s natural sporting talent continued to shine through as she was preparing for the Women’s State League Premier Cup. It was around that time that fate knocked on her door for a second time with an accident that almost claimed her life on March 1, 2014, when a deck railing she was leaning on broke, resulting in her falling backwards onto the ground and impaling herself. “I was at a party with my sister and as I was talking to a friend, the railing we were leaning on collapsed and we both fell backwards. Unfortunately, I fell on a stake that went straight through my pelvic region and I couldn’t move at all. 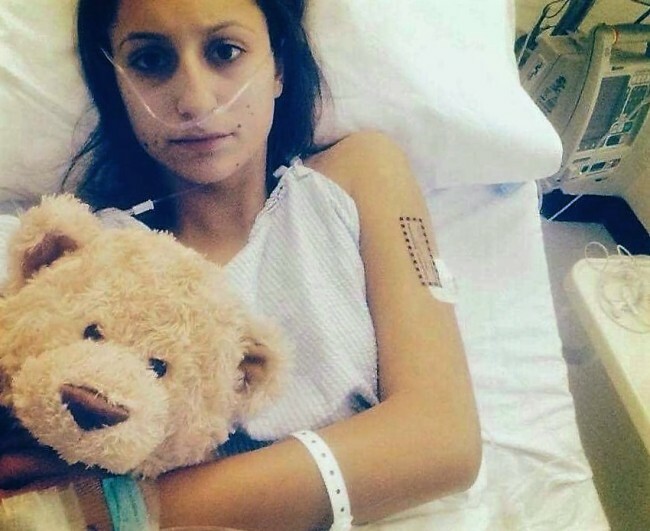 Lucy was rushed to the Royal Adelaide Hospital, where she was placed in a medically-induced coma for two days while surgeons operated numerous times in order to repair her pelvic region. 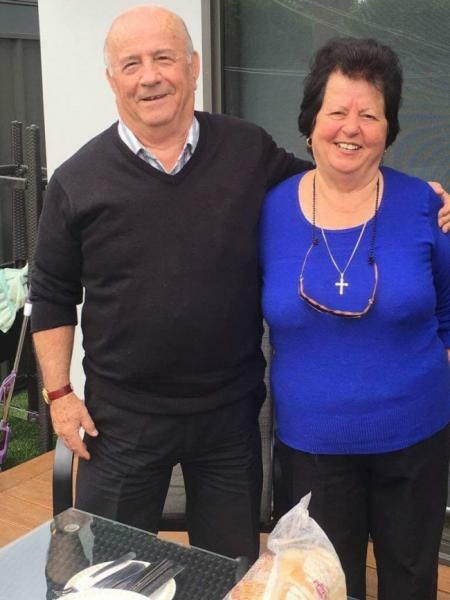 “It was pulverised, it collapsed and all my muscles were lost,” she says. Her movements were restricted after coming out of the coma and doctors said that she might become permanently paralysed and unable to have children later on. “I will never forget the day I woke up from the coma. I was not scared. I was in utter confusion and under the influence of painkillers. I can recall my dad and brother sitting at the end of the room looking scared. I then looked down and saw all the machines and tubes that were attached to my body. Lucy six days after her second accident. Against all odds, Lucy’s health improved rapidly over the next five days. “It was a freak accident and even I find it hard to explain how I managed to recover so quickly, but I promised everyone around me that I would get better, and I guess that’s what I did. “Sometimes I think that my young age and healthy lifestyle prior to the accident contributed a great deal to my speedy recovery, but whatever the case, I am just so pleased to be alive and I consider myself incredibly lucky that the accident hasn’t affected any vital organs or my mental health. The young athlete says that during the difficult times she had great people around her encouraging her to keep going. Lucy fondly remembers her yiayia Sophia, originally from Kalamata, visiting her at the hospital with tears streaming down her face. After just ten days in hospital, Lucy was discharged and went to live with her Greek grandparents, Sofia and George Adamopoulos. “Maybe my yiayia’s avgolemono contributed to me getting better quicker,” jokes Lucy, who remembers yiayia Sofia getting upset with her when she couldn’t finish the soup she had made for her. Ultimately, it was Lucy’s determination that proved to be stronger than her injuries and got her back onto her feet so that she could return to the soccer field just a couple months later. “Trying to walk again and realising that my mind was ultimately controlling my body was a unique feeling. “This whole experience has definitely made me appreciate how short life is and that we can all go at any given moment. I now think that everything in life happens for a reason, even when we don’t understand what the reason might be at the time. Pappou Giorgos and yiayia Sofia. Upon her return to action, the first game Lucy played was in the reserves for West Adelaide against Sturt-Marion. Her coaches only allowed her to be on field for 55 minutes of the game −Lucy scored four goals in that comeback game and her team ended up winning 4-3. At the end of that season, on August 31, 2014, Lucy, along with her teammates, claimed the title, winning the Women’s Premier Cup Final against Adelaide City with a final score of 3-2. Today, the business analyst for Bendigo Bank is living her dream as part of the Adelaide United W-League squad, although her debut two weeks ago hit a small hurdle with a stress fracture in her tibia ruling her out of action for six weeks − but that’s nothing compared to everything she has been through. “This too shall pass,” says Lucy, who doesn’t seem at all fazed by her injury. Lucy proudly holding the Womens Premier Cup. A few months ago, Lucy decided to visit Greece. “I love the fact that I am Greek and I have always loved our country’s culture and traditions, but I never expected to shed a tear as soon as I landed in Greece’s airport to visit my grandparents’ home. “I looked around and I really felt a special emotional attachment with the country and an overwhelming feeling of belonging. I liked that feeling a lot. It felt like I was home and I, once again, confirmed what I already knew.